Fourth time around and it never gets old! In late 2015, Stone & Chalk was the very first partner to open their doors to student interns (or “Finterns” in this case). Since then, Head Hustler Alex Scandurra and his great crew have always stepped up to help us create more opportunities plus for a new group of budding fintech innovators. 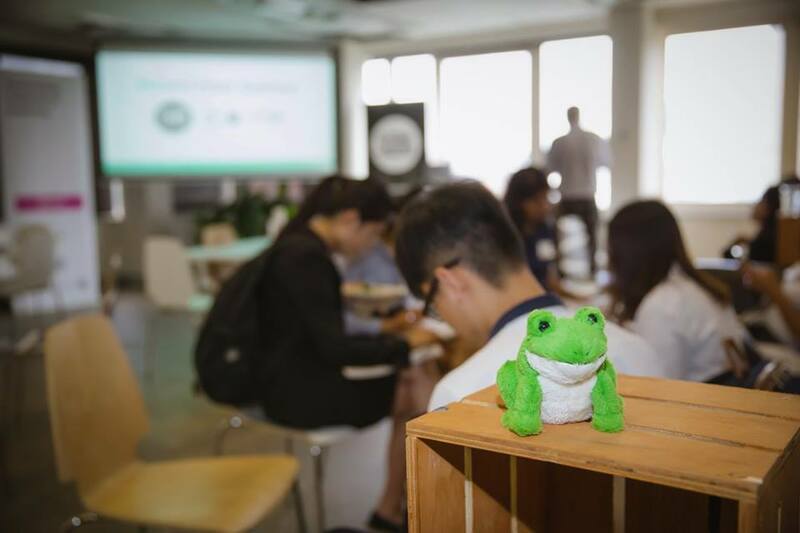 The Fintern event series has sure reached fever pitch (yeah, we went there) with more than 120 people (businesses, students, mentors and industry observers) taking part in this recent fun and productive speed networking session. You couldn’t miss us as we took over the entire second floor space and spilled into the community lounge. We were pleased to see so many “frequent flyers” of the Ribit platform and events that it’s starting to take the form of a reunion. One of our regulars, Trade Ledger, was back again with their latest recruit from the last Fintern event – Jason Vo who is a UNSW software engineering Honours student. Only this time he was on the other side of the table, putting a new set of prospective finterns through their paces. A special shout-out to James Jansson, CEO and Founder of TapView who took on a whopping 7 interns in March and with great results, a technology platform pivot and new tech was borne from this innovative crop of minds. Muchos gracias to our S&C friends in Fintern – bring on 2018!